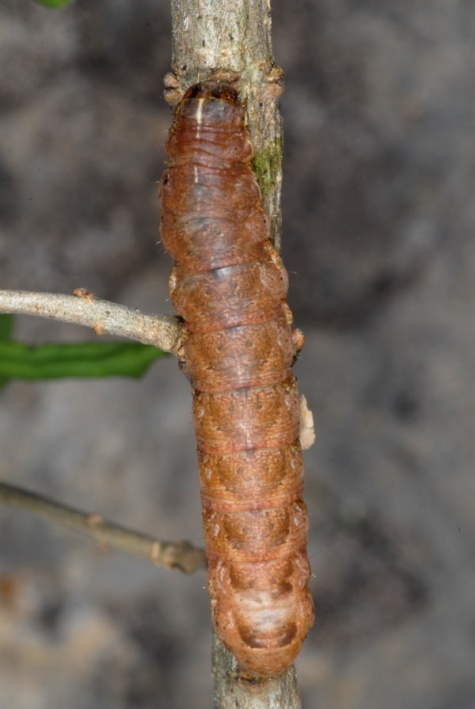 The caterpillars are polyphagous. 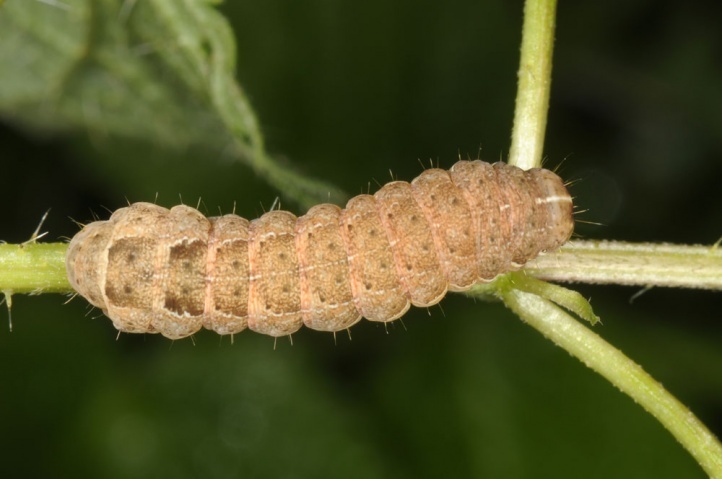 I found them in April and May in the northern foreland of the Alps near Memmingen, mostly on Urtica dioica, but also Lamium, Rubus idaeus and others. 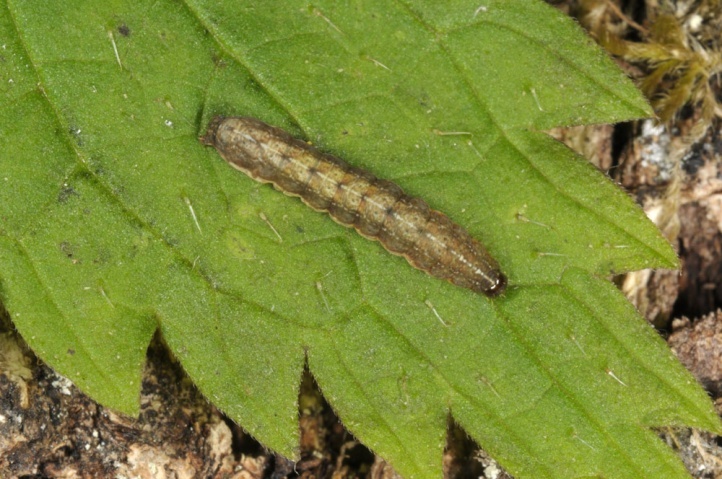 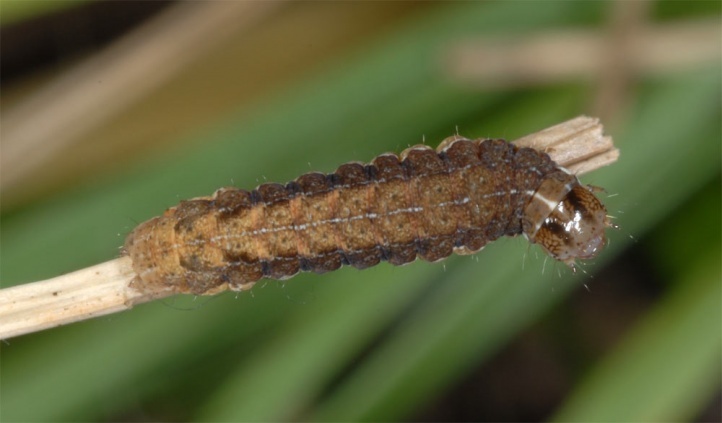 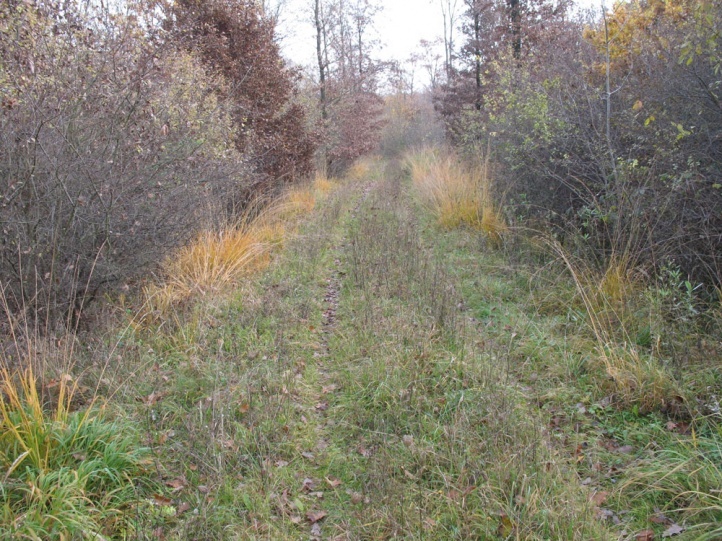 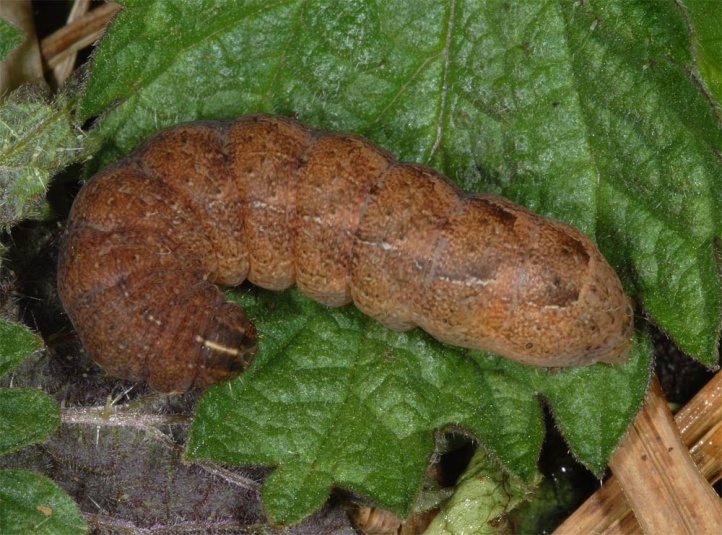 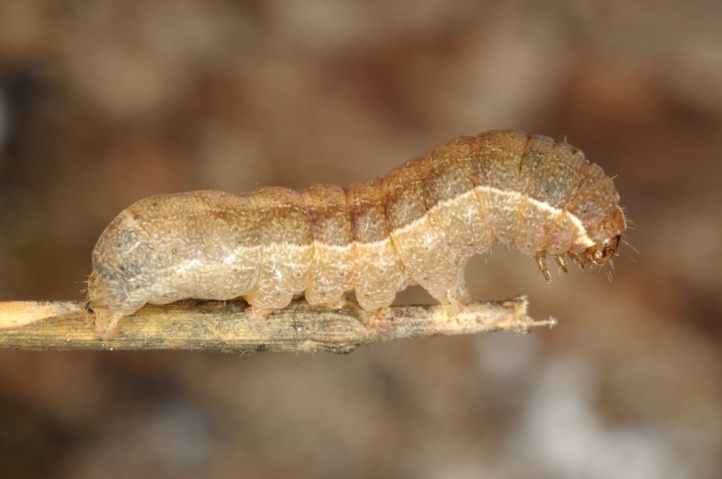 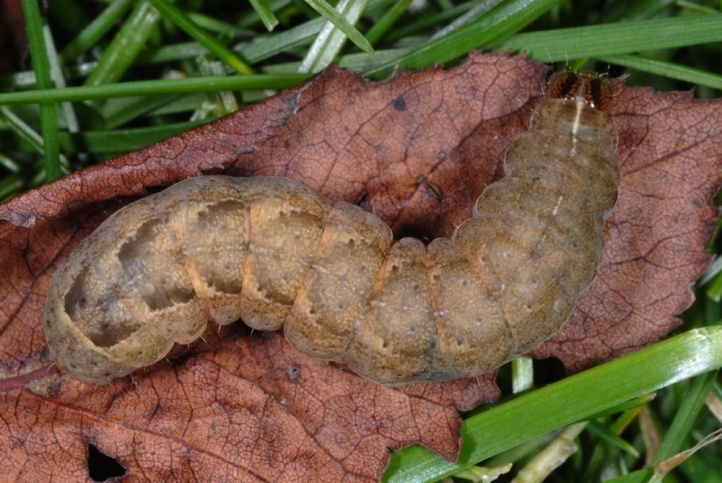 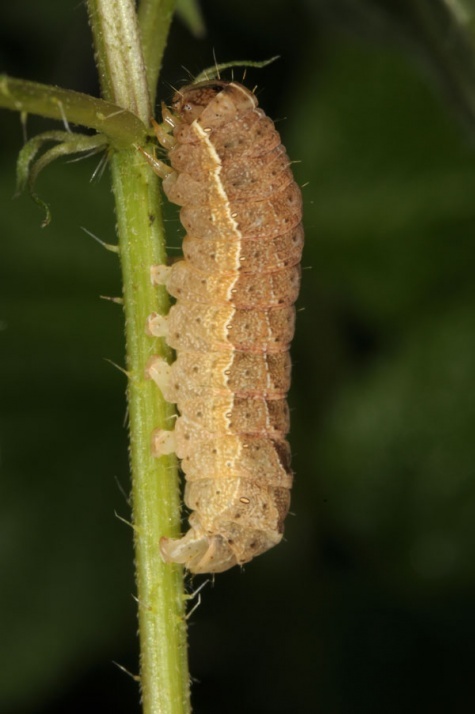 On the eastern Swabian Alb, I observed caterpillars in the autumn 2011 on Urtica along wooded streams and at bushy forest edges as well as on bushy margins of seasonally dry grasslands. 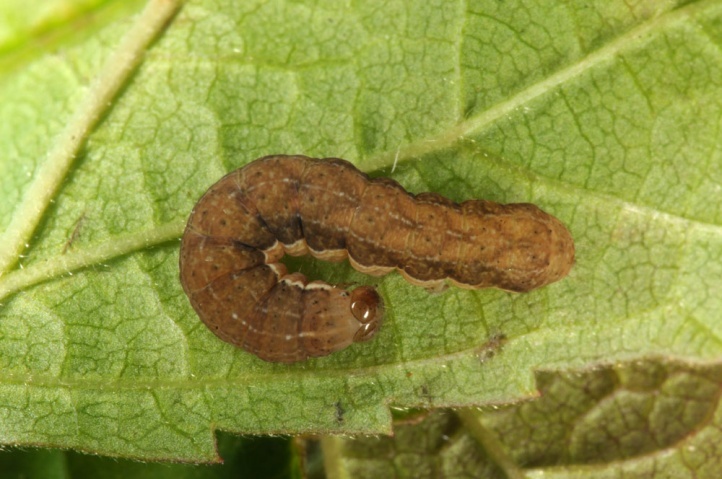 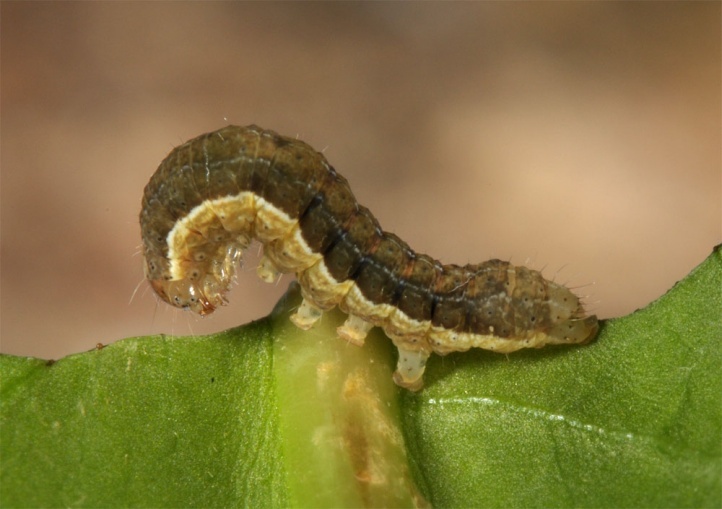 In spring, the caterpillars often climb on shrubs like Prunus spinosa or Lonicera xylosteum at night (observations on the Alb). 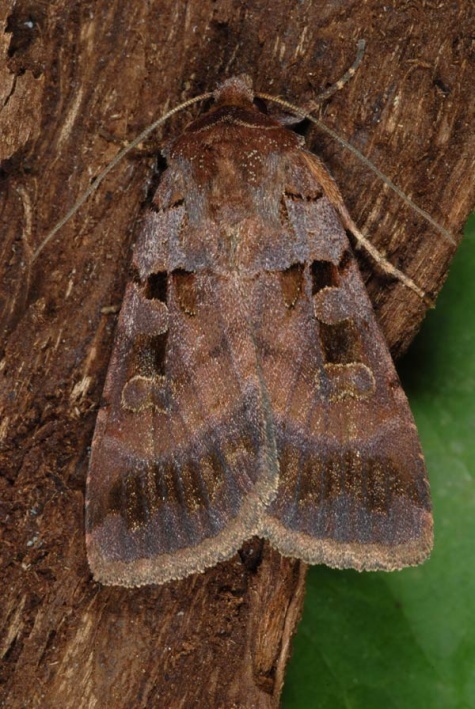 Xestia rhomboidea inhabits edges in forests as trail sides, scrub areas, stream margins (also wood galleries along streams outside the forest), hedges in forest-near grassland areas and is also found in the interior of light woodlands. 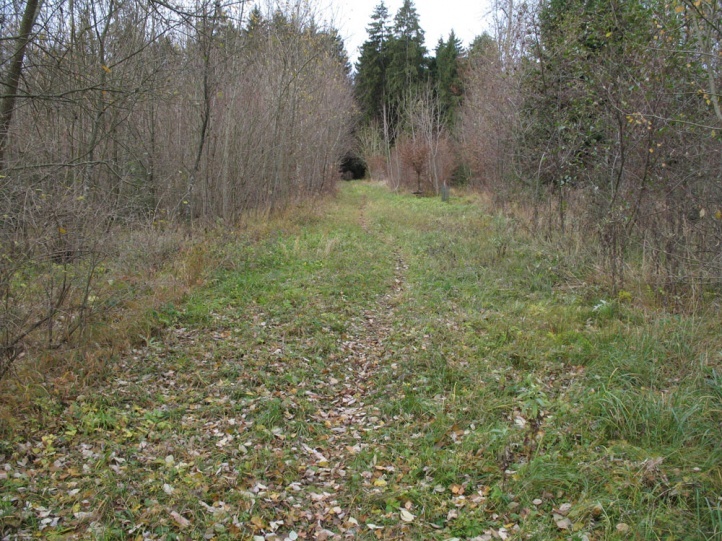 According to my own observations, slight to moderate moist or at least seasonally moist habitats are preferred and too xerothermic places more avoided. 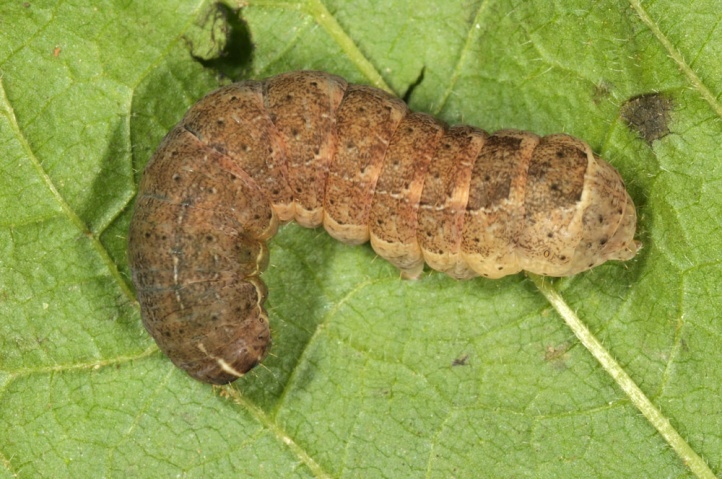 The caterpillar overwinters and can be found in April and early May with a kocket lamp. 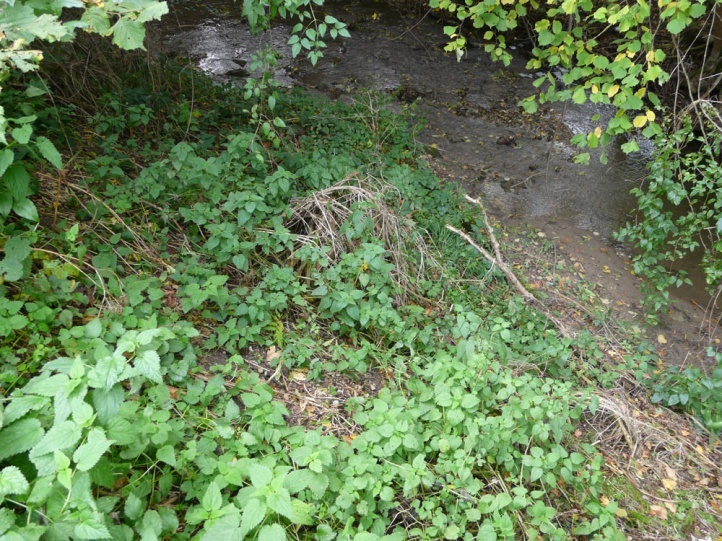 Then it sits at night preferentially at Rubus idaeus shoots, young shrubs or at the tip of sprouting nettles. 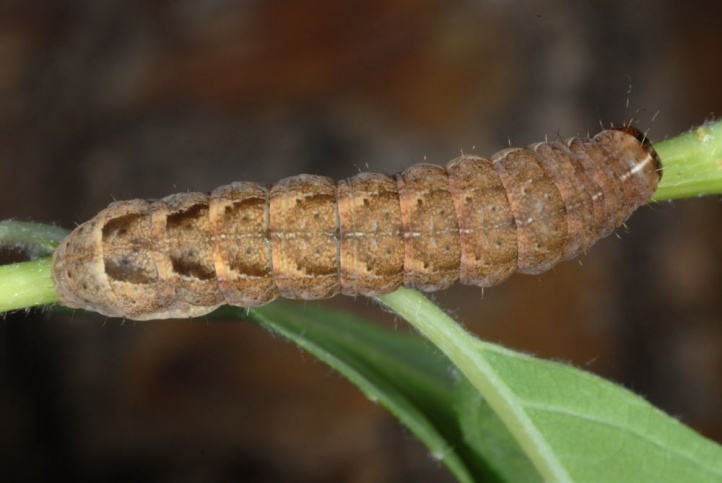 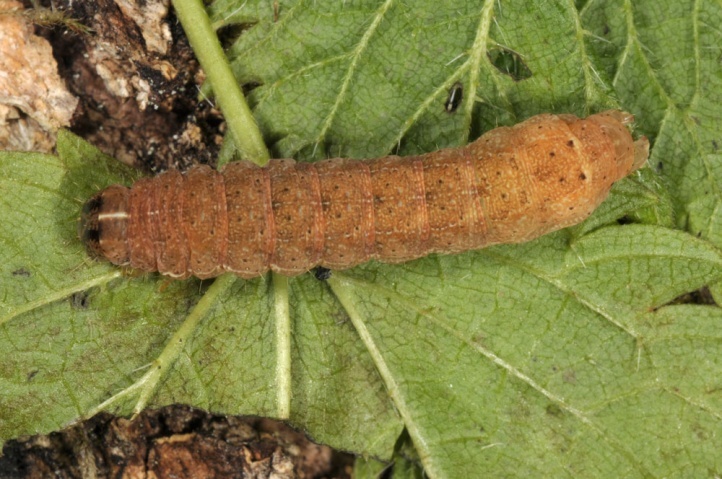 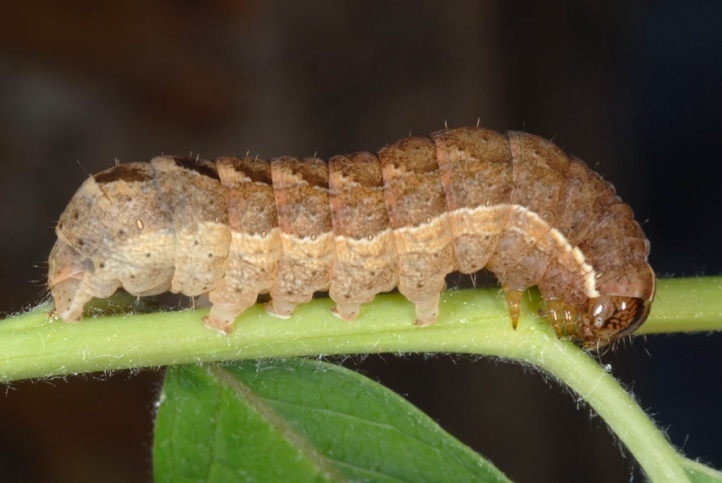 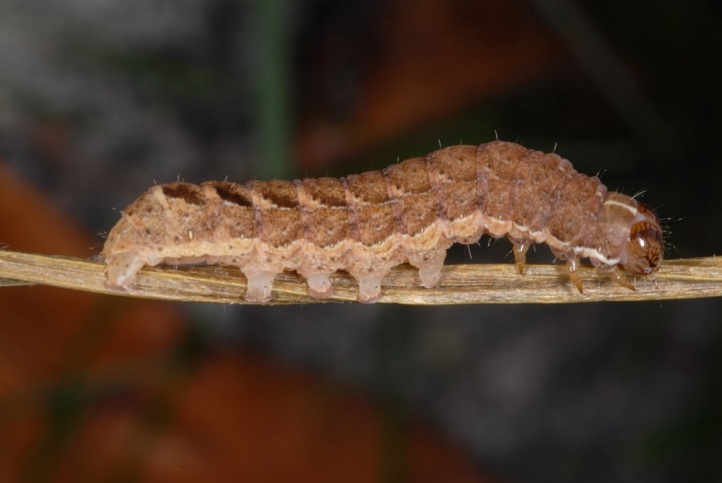 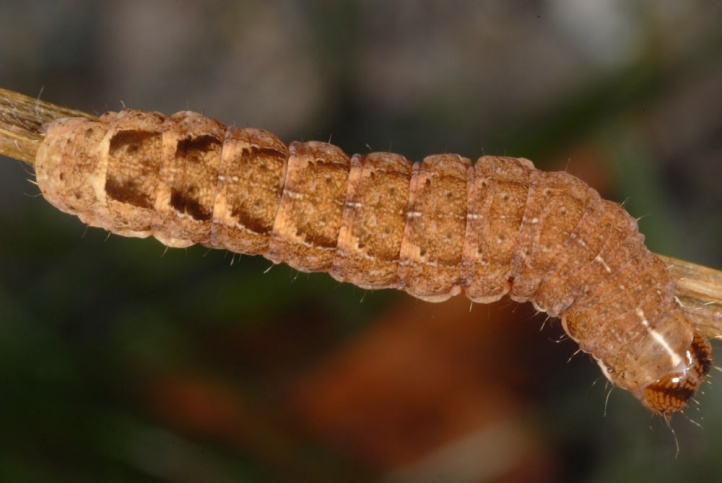 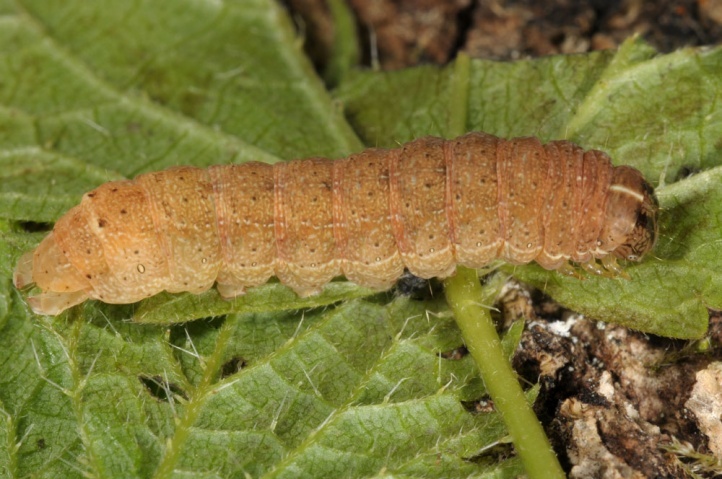 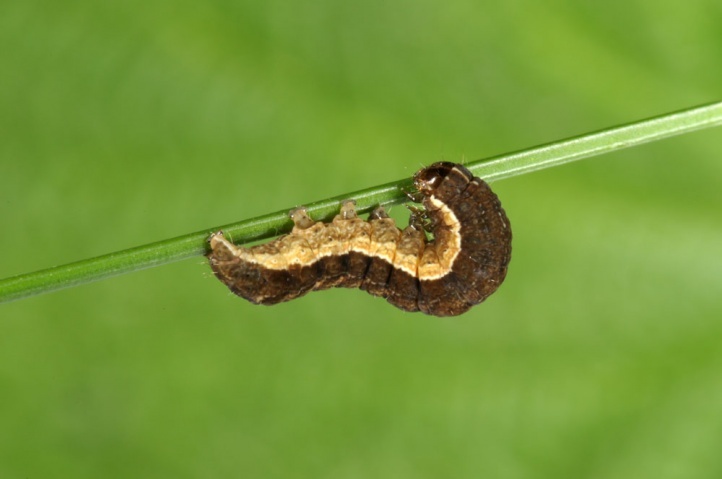 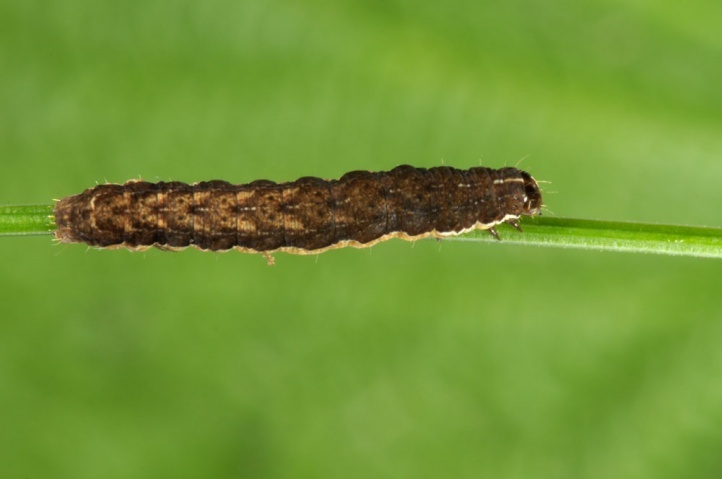 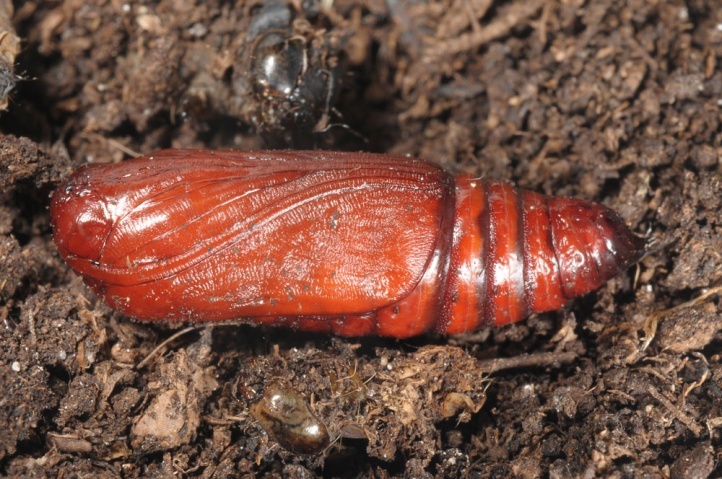 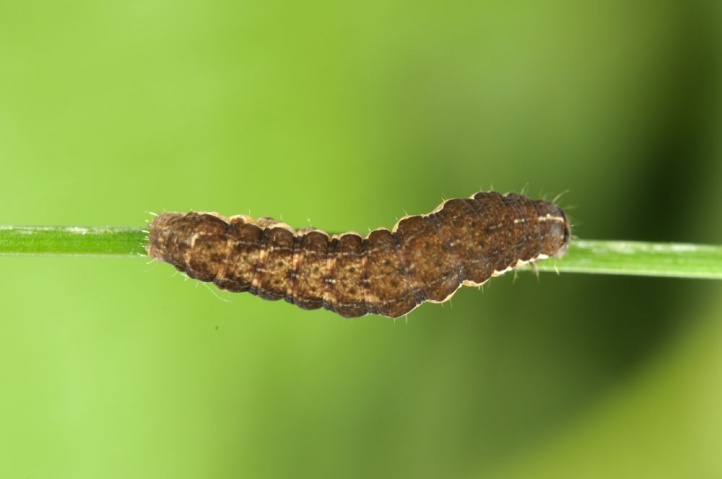 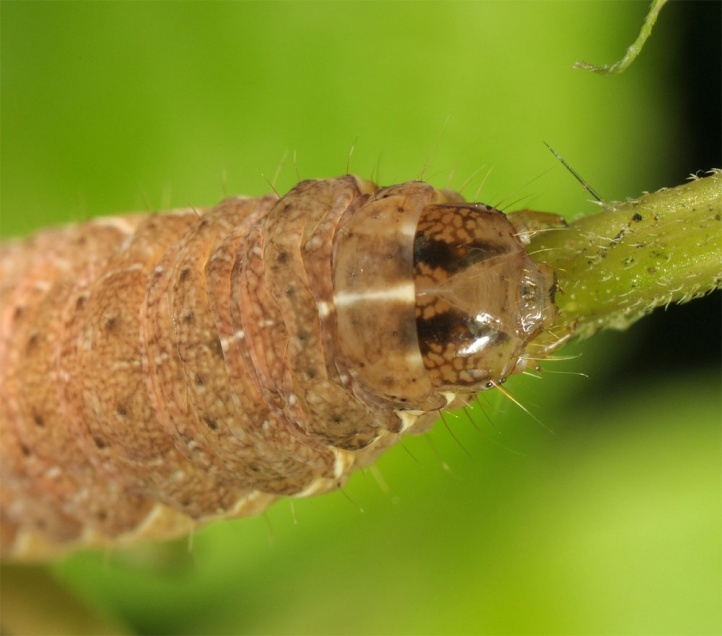 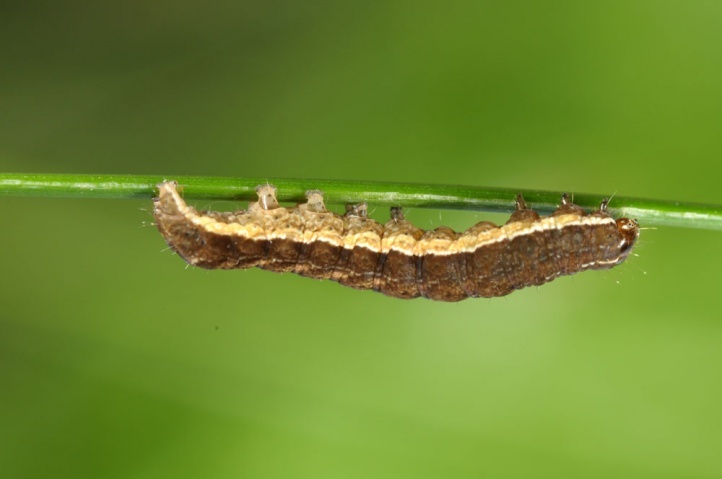 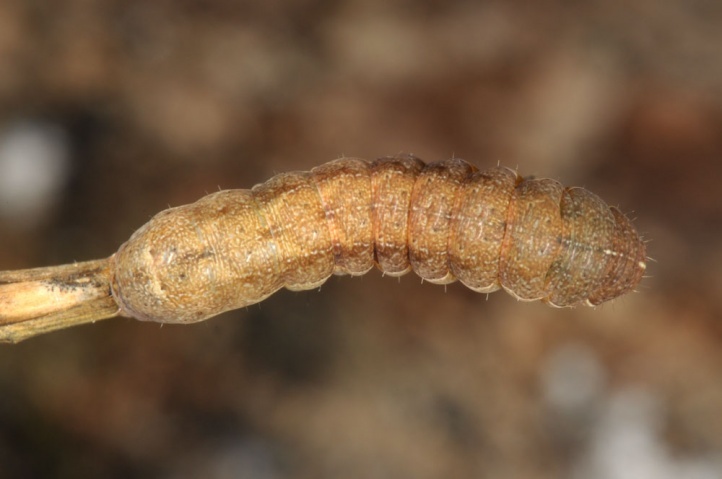 The mature caterpillar rests unpupated in the pupation shelter for a few weeks (about 3 to 5, breeding observations) what stands in contrast to Xestia ditrapezium and X. triangulum, which pupate without much rest. 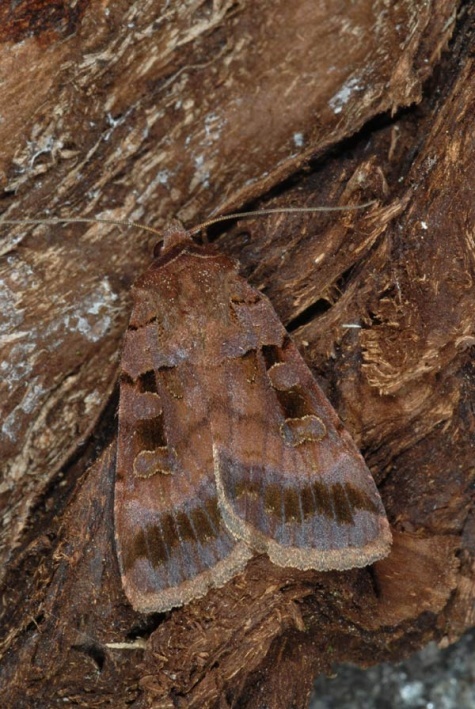 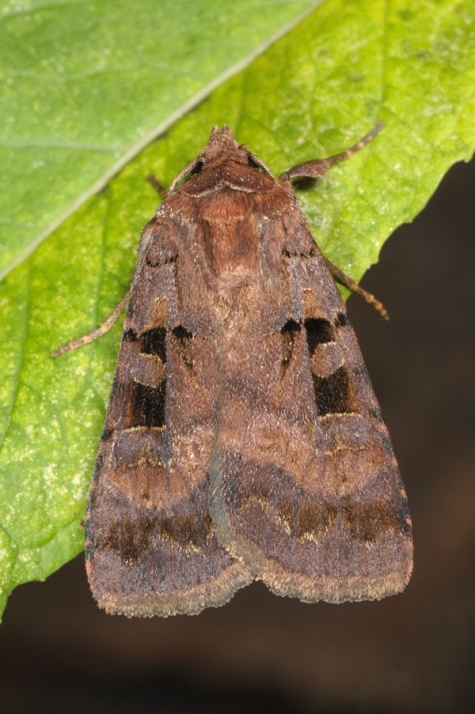 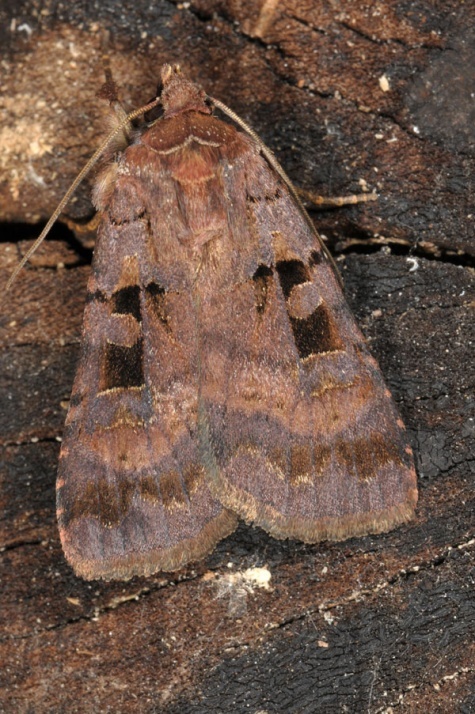 This explains the reltive later flight time of Xestia rhomboidea from late June to early September, with a focus on the end of July and in August. 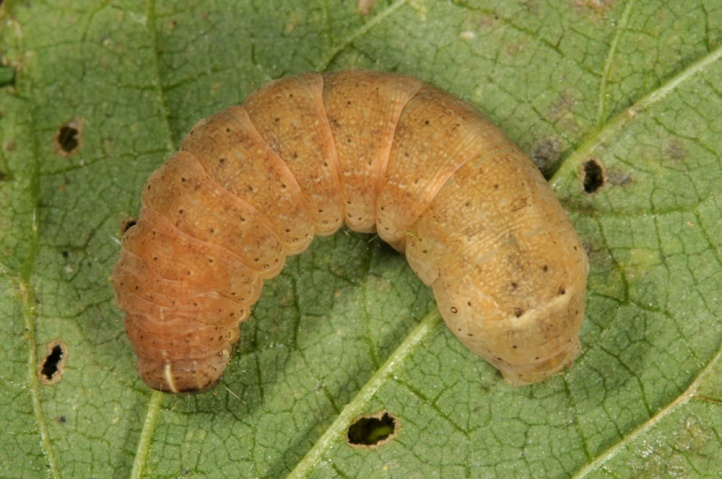 In the autumn, the caterpillars appear accordingly later and can be tapped from the end of October to November in the herbaceous layer. 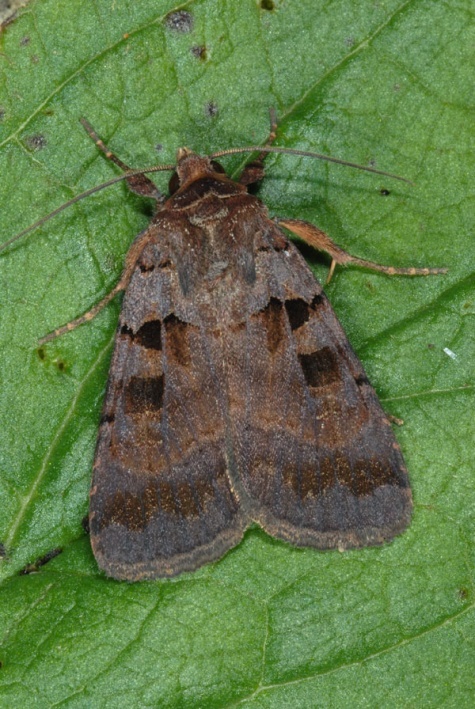 The distribution extends from the Pyrenees across much of Europe to Kazakhstan.